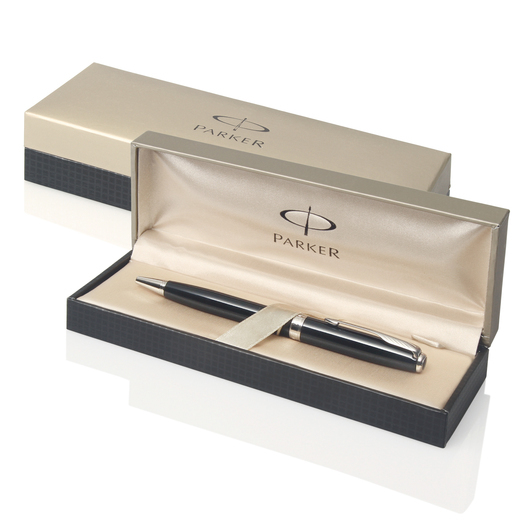 A premium writing instrument with stainless steel finish and gold trim. Parker have outdone themselves again, introducing the brushed stainless GT. 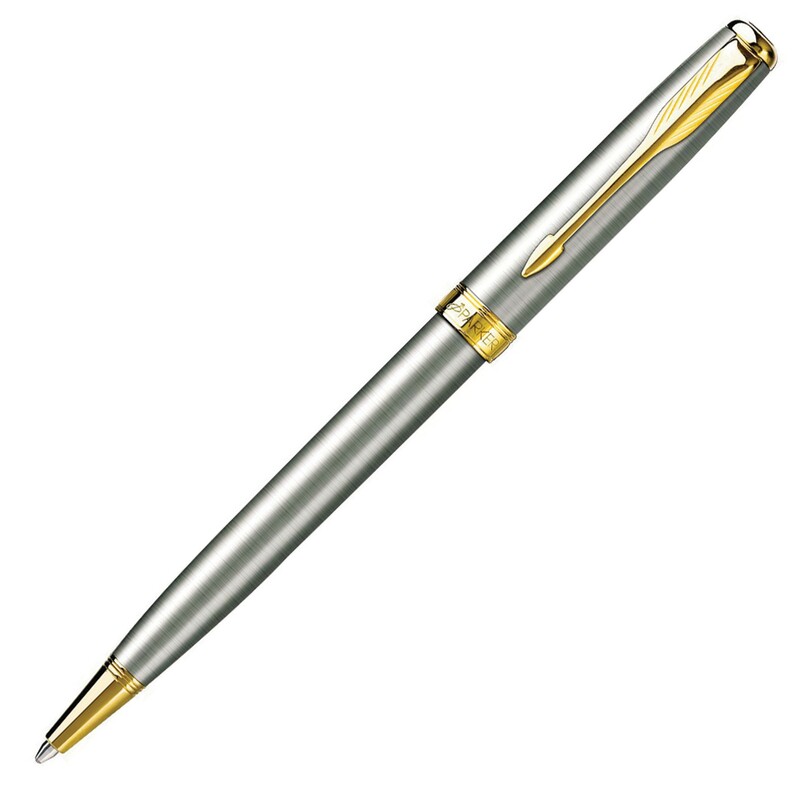 The pen features a stunning stainless steel finish with elegant gold trim and offers a twist action, retractable blue ballpoint. These pens offer many great options for your logo, all with a high quality finish.